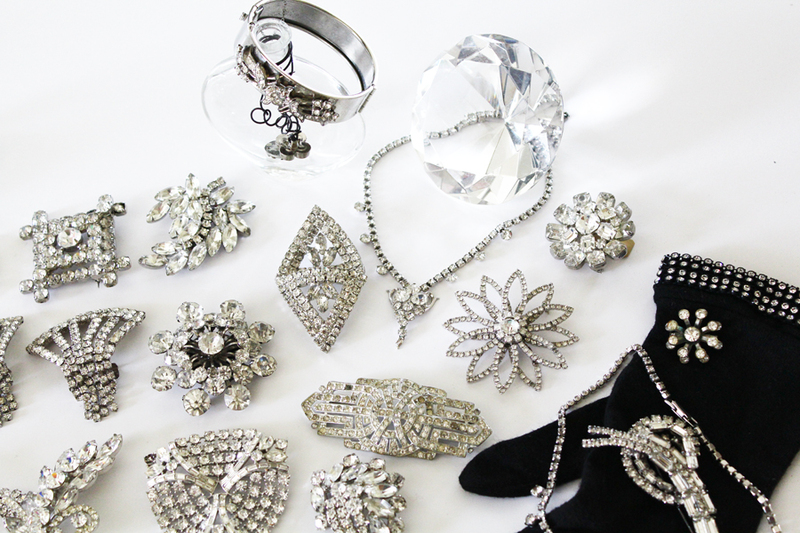 You get everything you see here! 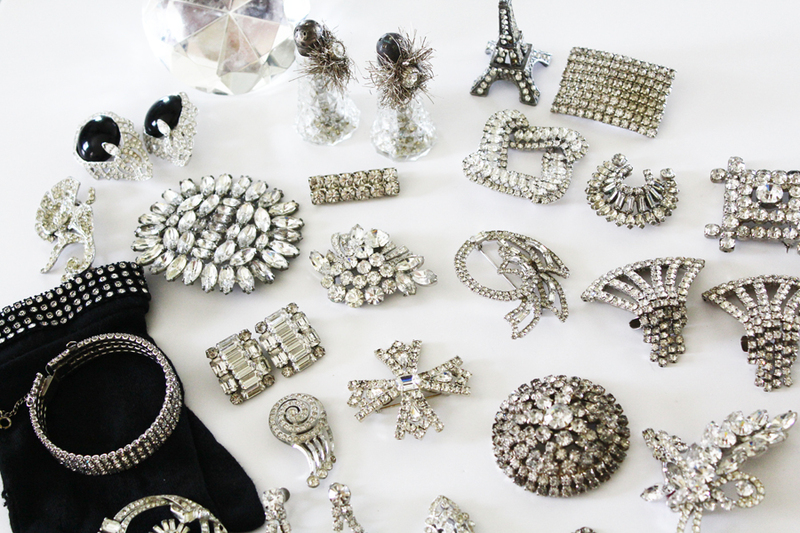 This is a rare opportunity to buy an entire collection of Antique Rhinestone Jewelry. 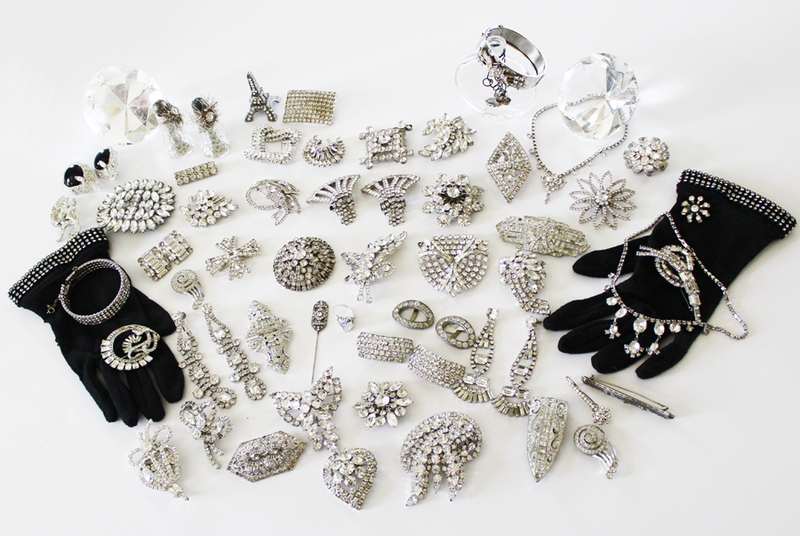 Over 60 pieces included in this purchase all in excellent condition with no stones missing or problems to report.